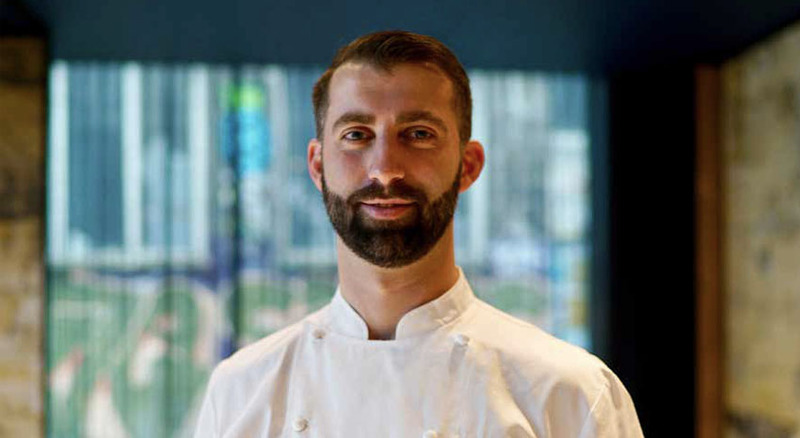 DESCRIBED AS “GOING BEYOND BORDERS on his endless quest for the quintessential in things,” Chef Yannick Alléno, twice awarded three Michelin stars, crafted the concept behind STAY. He’s bringing the philosophy around the globe, including the opening of STAY, Modern Restaurant, in April 2017 at SIGNIEL Seoul. The STAY promise: Across the world, bring to life a culinary experience of French taste that follows the rules of a cultivated experience, while remaining accessible, in a setting that is undeniably Parisian, chic and relaxed. Situated on the 81st floor of Lotte World Tower, STAY offers breathtaking panoramas of Seoul and a classic Haussmannian décor. Serving breakfast, lunch and dinner, the menu offers a wide range of dishes drawn from the tradition of great French cuisine. STAY Seoul’s Pastry Library offers its own range of delights for diners. 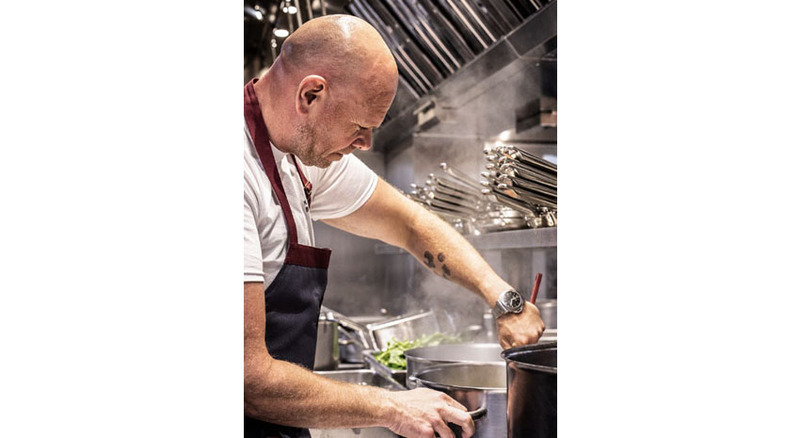 Alléno has been chef at Alléno Paris – Pavillon Ledoyen since 2014 and also directs the kitchens of Cheval Blanc in Courchevel and Royal Mansour in Marrakech. 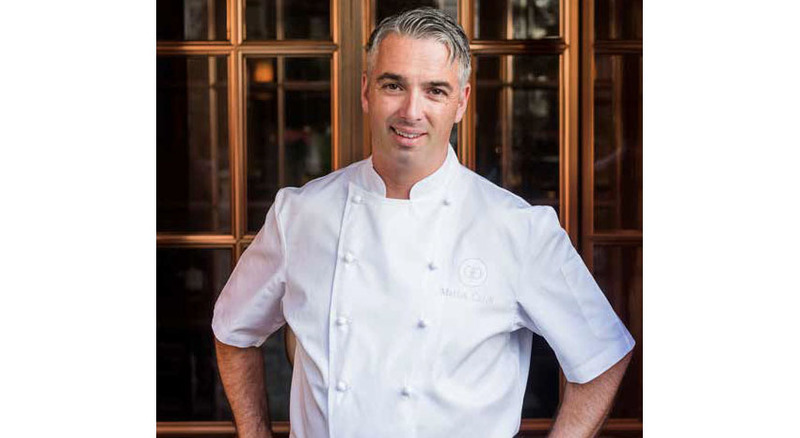 The French and Moroccan Gault&Millau guides named Alléno Chef of the Year. 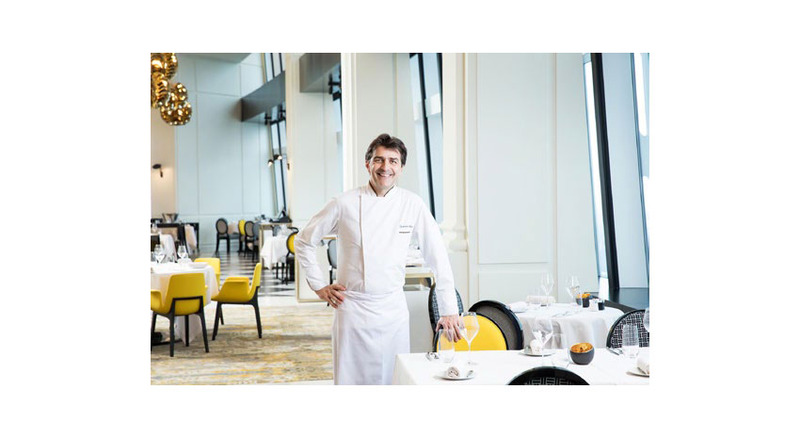 Alléno Paris is listed in the 50 Best Restaurants of the World ranking. WHICH DESTINATIONS INSPIRED YOU, AND HOW HAS THAT INSPIRATION TRANSLATED INTO YOUR CULINARY CONCEPTS? I like all culinary cultures and scenes; we all have interesting things to bring to the table. Apart from French gastronomy, mine which I love, I must admit Asian food, more specifically Korean food, is the most appealing, so rich and various. Kimchi is fantastic; Korean fermentations are mesmerizing. Barbecue is great as well. It’s an inspiring cuisine; we actually served bibimbap in our Parisian restaurant. We called it “homage dish to Lee Ufan.” Feedback was excellent. WHOM DO YOU CONSIDER TO BE YOUR CULINARY HERO? Paul Bocuse had a determinant influence on the standing of French gastronomy internationally. He was our ambassador and will be irreplaceable. 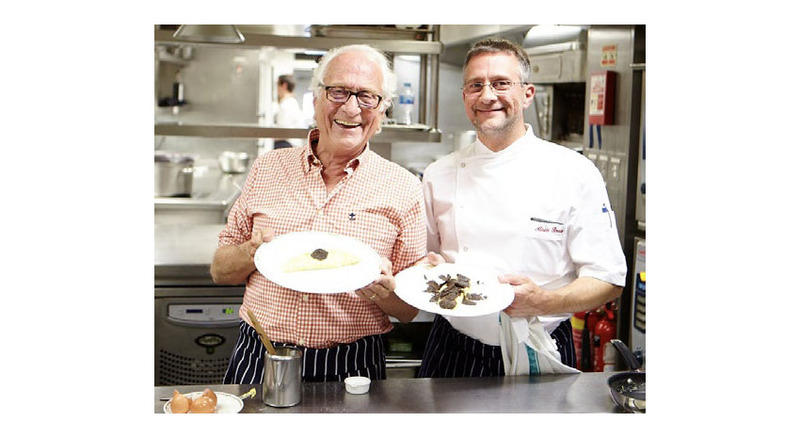 He understood we needed to modernize traditional cuisine and showed the example of what is and should be French cuisine in the world. I became a cook because I admired him. And I am not the only one. He made so many young people do extraordinary things. WHAT ONE PERSON MOST INFLUENCED YOUR COOKING STYLE? I started my training at the age of 15, learning from Manual Martinez, Jacky Fréon, Gabriel Biscay, Roland Durand, Martial Enguehard and Louis Grondard, all MOFs (Best Craftsmen in France). Consequently, classic French cuisine, excellence and rigor ruled the first 25 years of my career. Each had a style, but all had the same demanding nature toward taste with a huge knowledge and a fabulous will to pass down their expertise. They taught me perfection and almost everything I know today. No wonder I am so into sauces — they were all great masters of that, too! Still, the cuisine I do today is quite different from the one I learned; it is personal, more modern. WHAT IS YOUR FAVORITE FOOD CITY? I would say Tokyo. I’ve been around 30 times, even though I do not have restaurants there. I admire Japan because, like Korea, it’s a developed country that knows how to retain strong rituals and identity. Tokyo also has many specialties with restaurants only dedicated to those. There are so many street restaurants where we eat extremely well. But the best thing for me in Tokyo is sushi; I am a big fan. A true art I discovered with Mr. Mitzutani, who took me as an intern when I was young. WHAT DO YOU THINK THE NEXT BIG TREND ON THE FOOD SCENE WILL BE? More than a trend, the food scene globally moves toward a new, more responsible approach with focus on the importance of respecting the product, the environment, consuming locally. It’s a philosophy we’ve put into practice in all our restaurants. On our jackets in Paris, a green button reminds us every day of the importance of preserving products and the environment.